Fab Four reunited in a rare planetary alignment! – Online Personnel Management Systems Pty Ltd. This week has seen a few changes that are exciting for our team and making a few of us slightly nostalgic (spoiler alert: Colin was the nostalgic one). We pride ourselves on our close relationships with our clients, so much so, that within companies we have what we refer to as Super Users. These nominated Users have Admin access and are the contact points within these companies for both their users and us as a company helping to ensure the smooth implementation of our continual improvements each client requires on a daily, weekly, monthly and yearly basis. This week marked a very special occasion, similar to the Fab Five planetary alignment of 2016 but with four…..Tiiu, Lauren, Stacey and Emma were all in the same room, at the same time. The reason this is considered an historical event in our world is due to the timeline and chain of events leading up to this, stay with me, this has more twists than that Sixth Sense movie. Tiiu Tiisaar started with what was formerly known as Offshore Marine Services (OMS) in November 2010 as the Project Coordinator for the implementation of OPMS. Tiiu hired Lauren Jakson in early 2012 as an OPMS Super User. Lured by her sunny Coral Bay aura and general street smarts as well as her razor sharp mind, Lauren was an excellent addition to the OPMS team via OMS. At this point Tiiu was approached to join Colin and his team to work at OPMS instead of alongside. Smart man Colin! With the role at OMS becoming more demanding as the use of the software increased within the business Lauren realised she needed additional resources. These resources came in the form of a wily Kiwi, Stacey Magee in January 2014. She was ensconced in the OPMS role at SKILLED Offshore (aka OMS) to assist Lauren and be the main contact for OPMS going forward. Chaos ensued. Stacey then assisted in the hiring of Emma Fisher in November 2014, who would soon become the OPMS Guru – an exceptionally coveted and revered role within the OMS/SKILLED Offshore/Programmed/Atlas companies. To this day Emma holds this position proudly, with Lauren still being involved to a lesser extent. 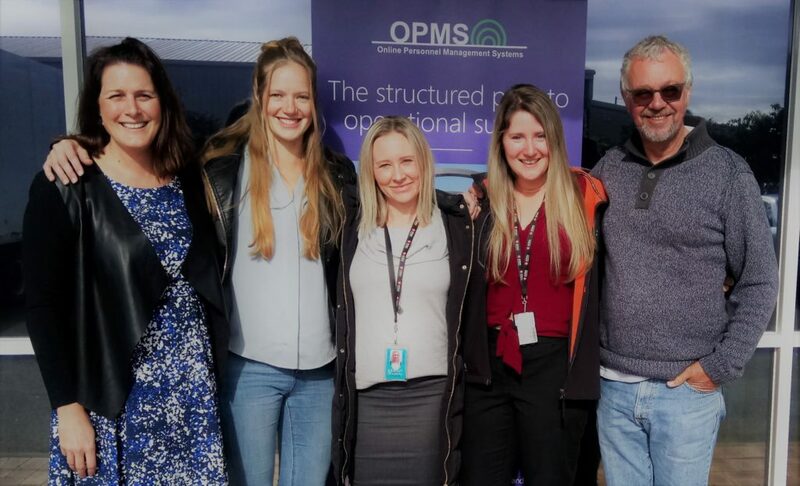 As you read in our latest newsletter, the wonderful Tiiu is off on maternity leave and has reeled Stacey Magee back in to the fold, this time to work at OPMS. L-R: Stacey, Tiiu, Lauren and Emma. L-R: Stacey, Tiiu, Lauren, Emma and Colin. In the same week, we noticed the office was a little full on Wednesday. So full in fact it was the first time all OPMS employees had been in the office together on the same day! Obviously, we took another photo to mark this occasion. It is a testament to the strength of our company that we have such a solid and dynamic team here to meet all your needs. We might need a little work on our camera angles but hey, we’re not in it for the insta fame! If you’d like to put names to faces, see below (you’re welcome). 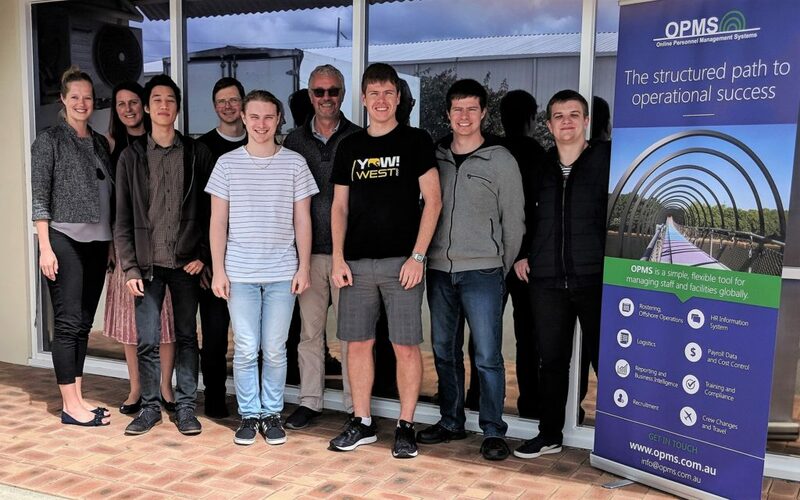 L-R: Tiiu, Stacey, Nathan, Scott, Liam, Colin, Matt, Clayton and Max.